Since I have different groups or teams I would love to be able to make the head of those teams a manager so they can see their team’s work. If I understand correctly if I set one of them up as a manager they will be able to view all of my projects – this I don’t want. 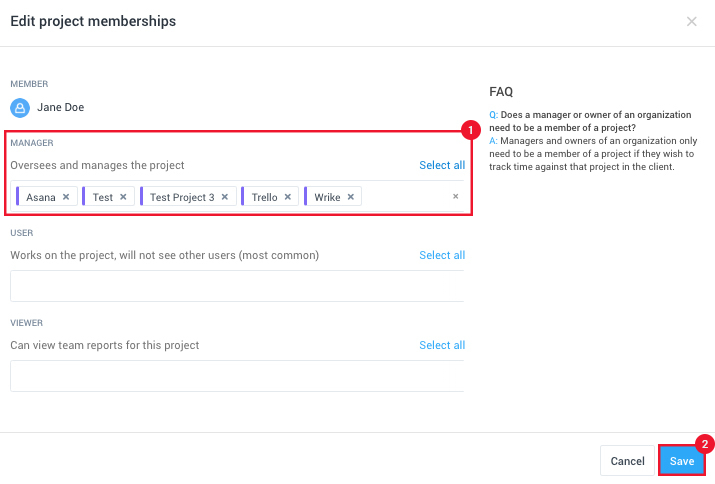 First, you’ll need to make sure the team member is set as a User on the organizational level so that they cannot access any other projects. 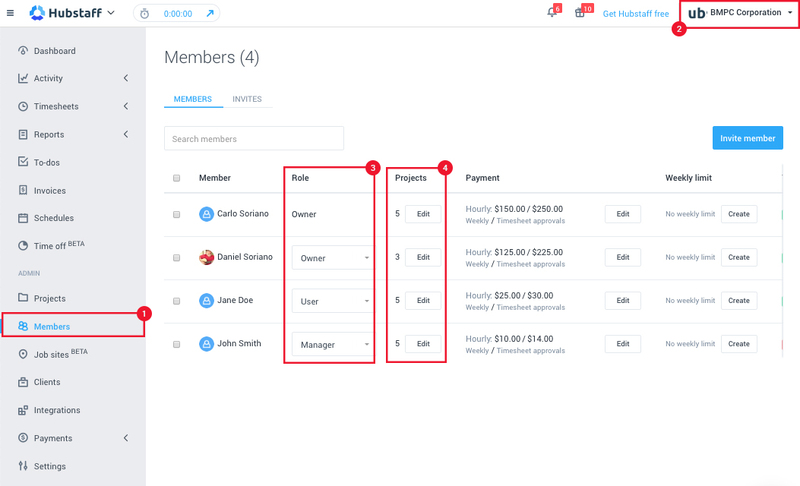 To do this, go to Members, then on the Role column, click on the drop-down menu and choose User. 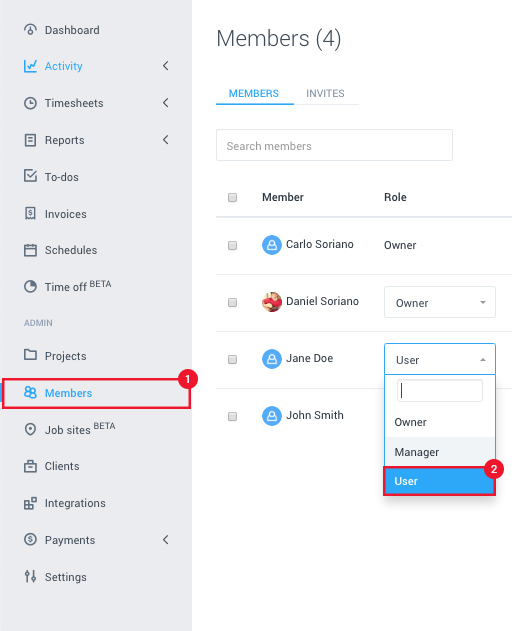 Navigate to Members on your sidebar, then under the Role column make sure the user is set as a User. 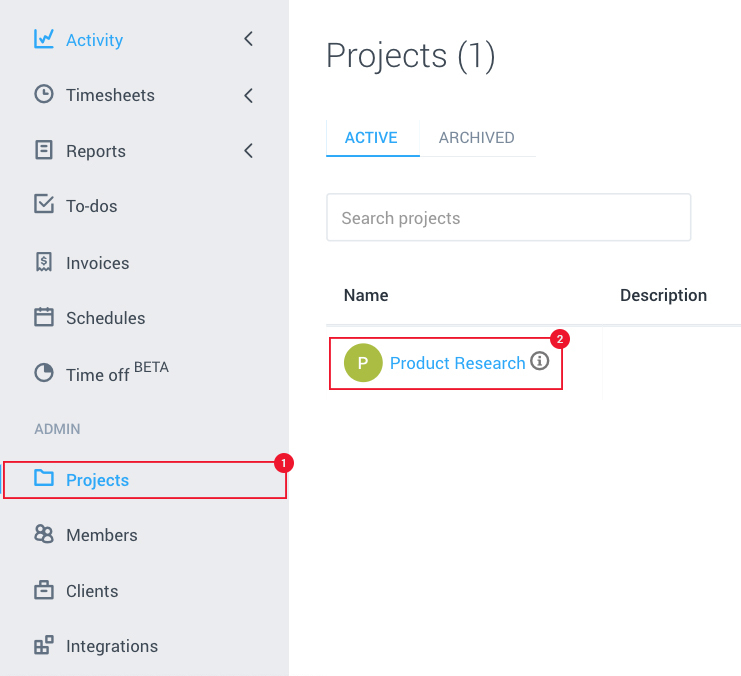 After the they have been set as a user on the organization level, click on Edit under the Projects column. 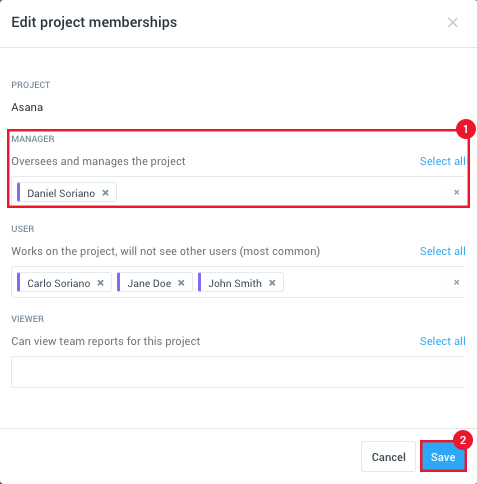 Then set the team member as a Manager on specific projects, then hit Save. Click on Projects on the sidebar then click on the project name. Next, you can either select Manager under the Role column drop-down, or click on Edit Members. You will see a dialogue where you should be able to assign/re-assign members to the project and change their roles. 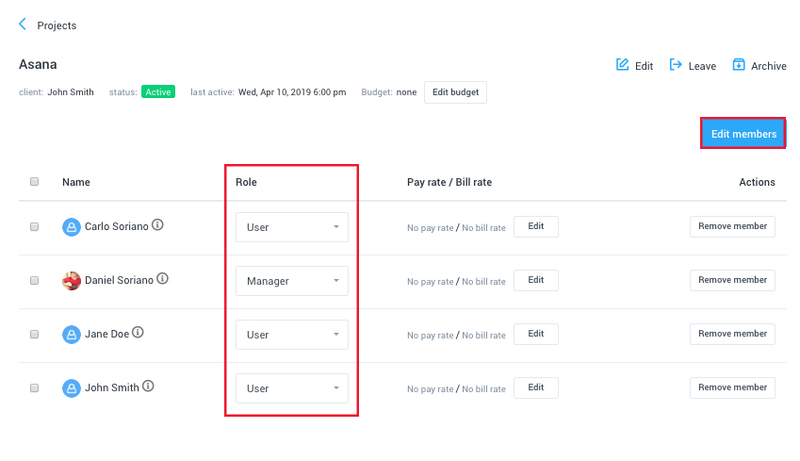 For more information about what users with Manager roles can access within your organization, please click here.